Cleveland Cavaliers forward LeBron James believes the team can be "pretty good" in the playoffs but acknowledged most of the roster is untested in big moments. "I think when it comes down to the postseason, we can be pretty good. I mean, I think so. But we don't know. Listen, we lost our starting point guard [George Hill] last game, so we're trying to get everybody acclimated. Our head coach is still out, and it's going to take him a little time to get back as well, so I don't know what we're capable of doing. The Cavs have won three straight games to keep their lead for the East's No. 3 seed but have been challenged by a surging Philadelphia 76ers team. The Sixers have won 10 straight and are tied with Cleveland in the loss column. Cleveland's roster overhaul is borderline unheard of for a defending conference champion. Twenty-one players have played 10-plus games for the Cavs since the beginning of the season. They jettisoned five players at the trade deadline, bringing back Hill, Jordan Clarkson, Rodney Hood and Larry Nance Jr.
Clarkson and Nance have never played in a playoff game. Hood has only two rounds of experience. Hill has multiple playoff appearances but has never played in an NBA Finals. The Cavs are looking to win their fourth straight Eastern Conference title, which would be an eighth straight Finals appearance for James. 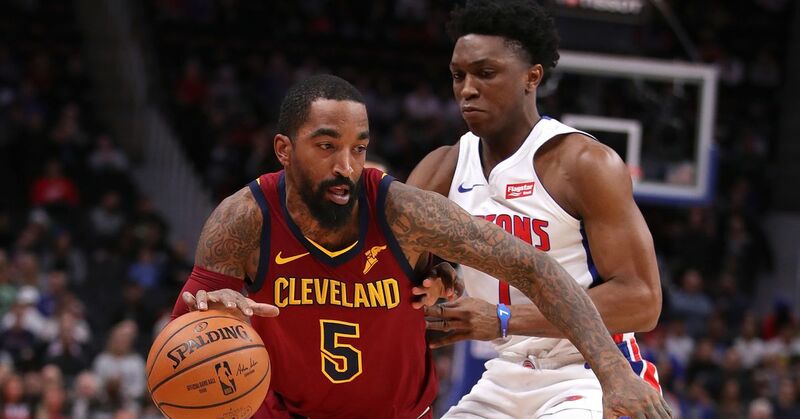 Cleveland has won eight of its last nine games despite still not being at full strength and missing coach Ty Lue for much of the stretch.